Spaceflight President Curt Blake at the Small Satellite Conference at Utah State University in Logan, Utah. (Keith Johnson for SpaceNews). LOGAN, Utah — Spaceflight announced Aug. 6 that it’s beginning final preparations for a dedicated Falcon 9 launch later this year carrying more than 70 smallsats for a variety of commercial, government and educational customers. The SSO-A “SmallSat Express” launch of a SpaceX Falcon 9 represents the largest rideshare mission to date on an American launch vehicle. The Falcon 9, launching from Vandenberg Air Force Base in California, will place 71 small satellites into sun-synchronous orbit. “We’re beginning the integration process,” Curt Blake, president of the Seattle-based launch services company, said in a recent interview. Some of the satellites will be integrated into the overall payload stack at the company’s facilities, with the rest being done at the launch site. A company statement said only that the launch was scheduled for later this year, but Blake said Spaceflight expects the SSO-A mission to launch in the fourth quarter. “We don’t have an exact date yet, but we’re definitely in the fall,” he said. One source with a payload on the mission said they’ve been told to plan for a mid-November launch. The biggest single customer on this mission is Planet, which plans to launch two of its SkySat high-resolution imaging satellites and several Dove medium-resolution imaging cubesats. Planet is also sponsoring two university-built cubesats on the mission. About three-quarters of the payloads are from companies. Besides Planet, they include Astrocast, Audacy, Capella, Fleet and HawkEye 360, all of whom have plans for smallsat constellations. Several universities have payloads on the mission, as well as one from the Nevada Museum of Art and another from a high school. Spaceflight announced plans for the SSO-A mission, then known as “2017 Sun Synch Express,” in September 2015. At the time the company planned to perform such dedicated rideshare missions on an annual basis, starting with that launch in the second half of 2017. That mission was delayed by a year because of other delays in the SpaceX launch manifest. Blake said the company was open to doing similar missions in the future, but wanted to wait until after the SSO-A mission launched before making plans. “I think there’s definitely a chance of us doing more, like an SSO-B and an SSO-C and the like,” he said. 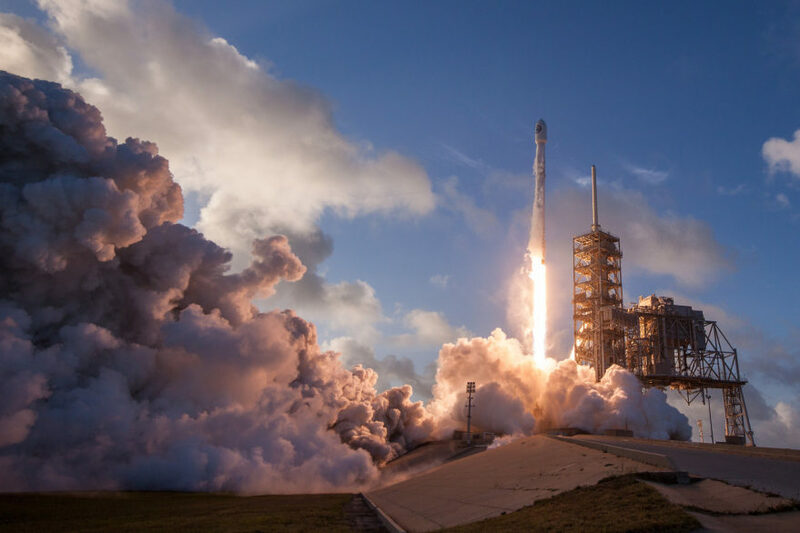 Spaceflight is best known for providing rideshare opportunities for small satellites on larger launch vehicles, but has recently also been working with small launch vehicles. In June, the company announced separate deals with Rocket Lab and Virgin Orbit for missions on those companies’ Electron and LauncherOne vehicles, respectively. Blake described the rideshare market overall as “booming,” with Spaceflight planning to launch 97 satellites on several missions, including SSO-A, through the end of 2018. The company has about 10 rideshare missions planned for 2019.